Here are some things that have been "pinspiring" me lately. Obviously I have breakfast and home decor on the brain. To see all my boards, you can follow me here! ummmm those donuts look amazing! These are great! That bathroom is gorgeous!! I've recently gotten re-addicted to pinterest. I installed the app on my phone again and have been pinning like crazy! 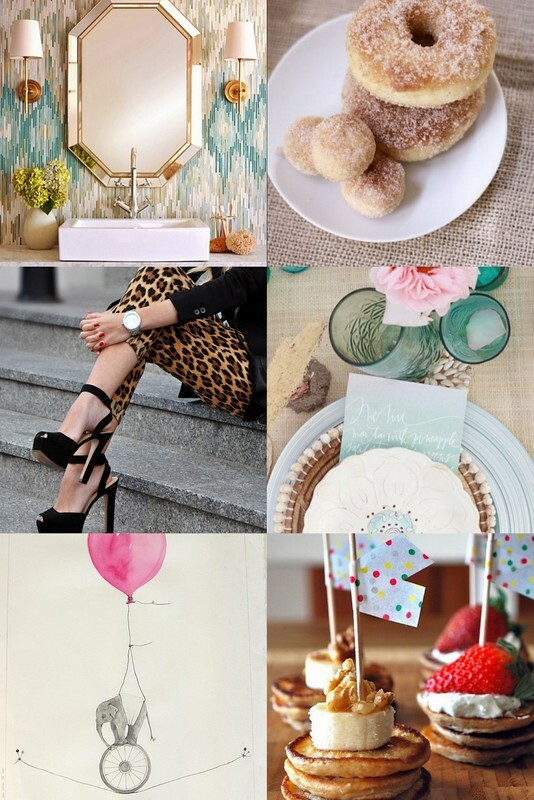 Such pretty inspiration--I love that gold mirror! love the pants..wish I had the guts to wear something like that!!! so cute! I REALLY want to throw a party where I can serve tiny pancake stacks! So cute!